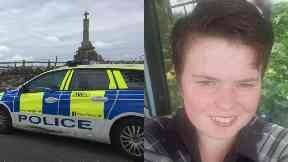 Jordan Johnstone, 24, and Angela Newlands, 28, allegedly murdered Annalise Johnstone. Annalise Johnstone: Body found at side of road. A man allegedly knifed his sister to death before dumping her body at the side of a road. 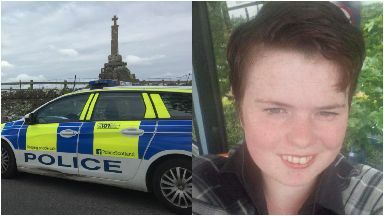 Jordan Johnstone, 24, and Angela Newlands, 28, are accused of murdering Annalise Johnstone at the Maggie's Wall Memorial near Dunning, Perthshire. The 22-year-old victim is said to have been repeatedly struck on the neck with a knife in May. It is claimed Annalise's body was moved in a Ford Galaxy car and left near a stone dyke at the side of the B8062 in Perthshire. The duo are further alleged to have made a false report that Annalise, who also used the name McDonald, was missing. Jordan Johnstone alone has also been accused of assaulting his sister in Beith, Ayrshire, two days before the alleged killing. His QC Keith Stewart and Brian McConnachie QC, defending Newlands, both pleaded not guilty on their behalf. Lord Burns set a trial due to begin next April in Livingston. The case could last up to 15 days.